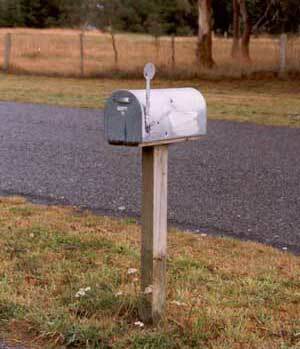 The real garden mail box out on the road at Moosey's is not used so much, now that the garden has gone on-line. We welcome e-mails about the garden and the website, especially if you can help us identify the unknown plants! If you want to chat about the plants and gardens, or the cats and the dog, best to mail Moosey. She should reply pretty quickly - it's a great excuse for her to take a break from garden maintenance. If you want to discuss nerdy stuff concerning the world wide gardening web, Eggy likes that sort of thing. He's officially known as the webmaster. At Mooseys we reply to all the e-mails we're sent, and we will keep your e-mail address private. Drop us a line! If you enjoy visiting my garden, I'd love you to write to me. Help me identify the unknown plants, tell me which parts of the garden you like the most, and please give me your suggestions about the garden or the website. I look forward to hearing from you! I am Moosey's eldest son and the webmaster, designer and photographer of this site. If you have any website related questions, please drop me a line and I'll do my best to help.